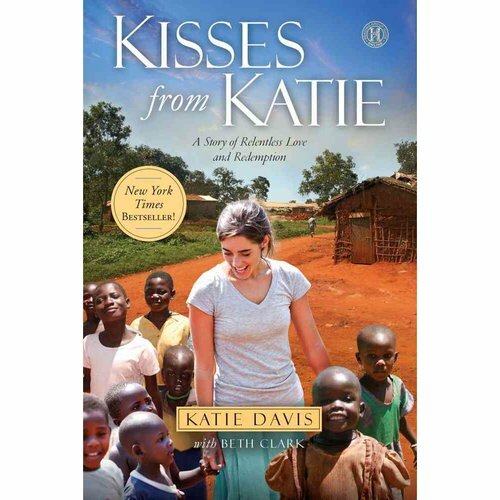 Recently, I read “Kisses from Katie”, a book written by 23-year-old Katie Davis, an American girl who is now living in Uganda and mother to 14 Ugandan children. When first hearing of Katie’s story, the question that immediately popped into my mind was, “Is she crazy?” A young, single, homecoming queen from Brentwood, Tennessee, mothering 14 orphaned or abandoned girls in rural, pothole-riddled, poverty-stricken Uganda? No husband to help get the kids up. No family down the road to call for help. No dishwasher. No washing machine. No well-staffed hospital or chemist around the corner. Basically, none of the conveniences that so many mothers from developed nations (with fewer than 14 kids) rely upon every day. I was intrigued to find out just how she managed to bath, tickle, love, feed and nurture all these girls while so far from the support system of her family and friends. Not even one paragraph in and I discovered her secret. And it didn’t have anything to do with dishwashers or help on speed dial. Her secret was simply Jesus. Every second of every day. Through homework, tears, sickness, potholes, and dinner time. Jesus, Jesus, Jesus.